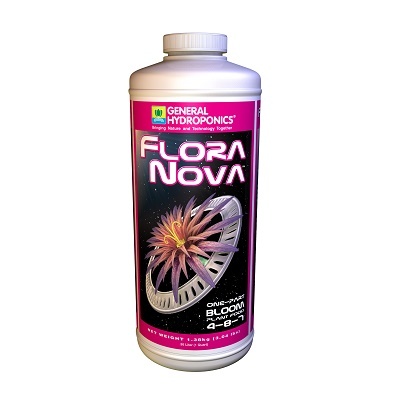 FLORA NOVA BLOOM: Promotes explosive flowering and fruiting. FloraNova Bloom induces phenomenal aroma, taste, and colors while delivering extraordinary yields. FloraNova represents a breakthrough in fertilizer technology, as it gives users both the strength of a dry concentrate and the ease of a liquid. This unique formulation of highly purified minerals and natural additives combines the benefits of hydroponic as well as organic gardening methods. 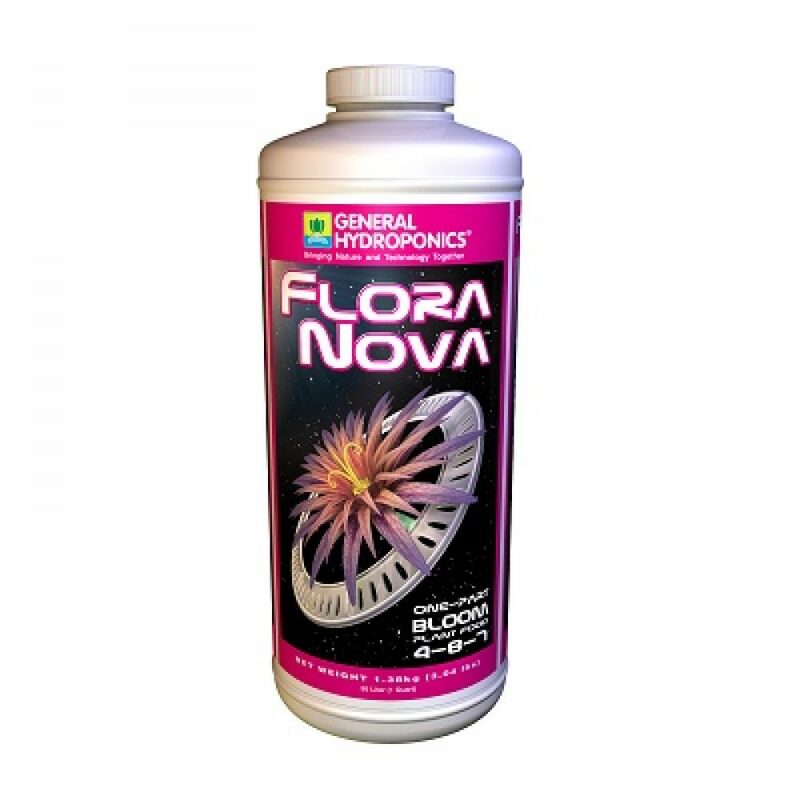 FloraNova one part formulation, combines all the elements required for hydroponic cultivation, plus it is extremely concentrated. A very small amount of FloraNova mixed with fresh water will provide your plants with proper nutrition. FloraNova works superbly in hydroponic environments, as well as with both soil-less mixtures and soil grown plants.